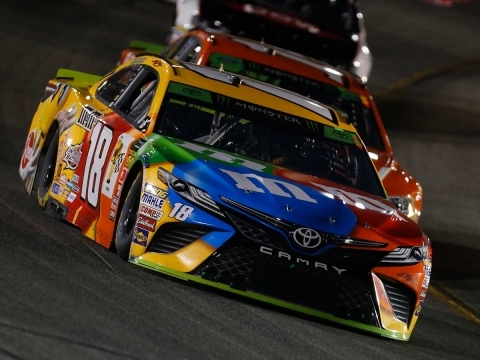 ● Busch started in the fourth spot with his M&M’S Camry, but it didn’t take long for him to start making his way toward the lead. ● The M&M’S driver moved into second by lap 24 and moved past Kevin Harvick, the polesitter and then-leader, on lap 32. 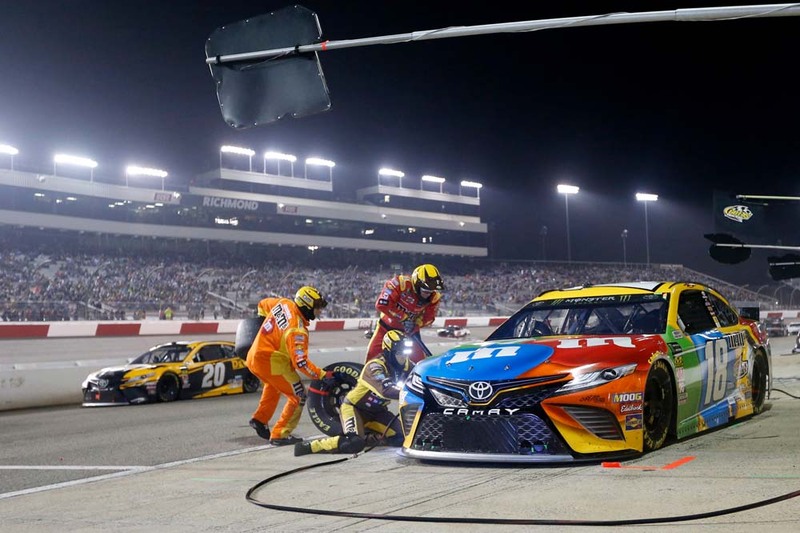 ● Busch pitted after the competition yellow flew on lap 40, and the M&M’S team held the lead. Busch kept the top spot the rest of Stage 1, bringing home yet another stage victory. ● Busch started first, finished 15th. ● The M&M’S team again had a strong pit stop, helping Busch hold serve to start Stage 2 back in the lead. ● After the caution waved for an accident involving Kyle Larson, Busch came to pit road to the attention of the M&M’S over-the-wall crew for four tires and fuel. But he was assessed a penalty for speeding while he exited pit road and was sent to the rear of the field. ● Busch restarted in 26th on lap 135 and quickly went to work on the cars in front of him, moving up to 20th by lap 150 and into the top-15 by lap 197. He ended up finishing 15th in Stage 2. ● Busch started 11th, finished eighth. ● Busch came to pit road during the stage break for tires and fuel on lap 205. 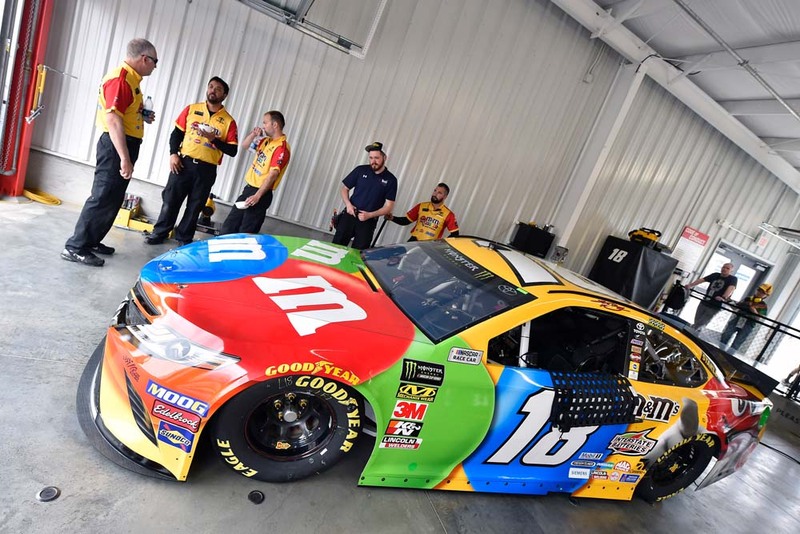 The M&M’S team again performed a blazing-fast pit stop to return him to the track up four spots in 11th place. ● The 2015 Cup Series champion continued to chip away at the cars ahead of him, and he made it back up to the top-10 by lap 220. ● The caution waved for an accident involving Michael McDowell on lap 244, and Busch came to pit road for service on lap 246. He took on four tires and an air pressure adjustment, and the team again gained him two spots on pit road to restart seventh. ● Busch jumped up two more spots to fifth immediately following the restart, as he settled back into the top-five on lap 253. ● The M&M’S driver came to pit road on lap 319 for tires, fuel and an air pressure adjustment to help remedy a tight handling racecar. On the stop, there was a slight issue that cost him some time on pit road, and Busch cycled back to 10th after pit stops. ● He worked his way back up to eighth by lap 334 but still fought an ill-handling car. The No. 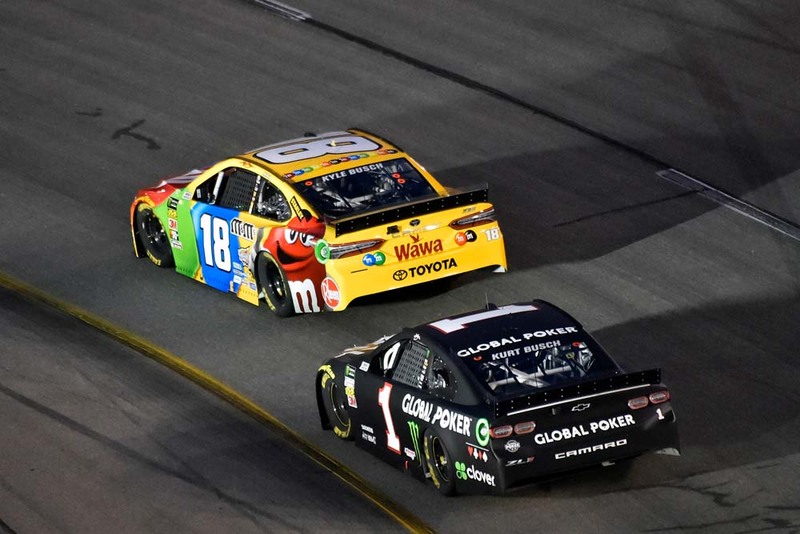 18 was just too tight to make any moves up through the field, and Busch ended the 400-lap race in eighth. 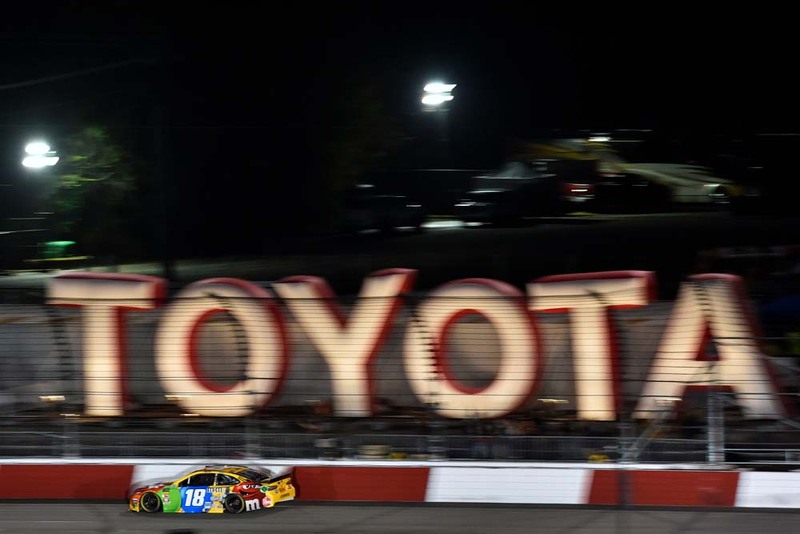 ● Busch led once for a total of 101 laps. 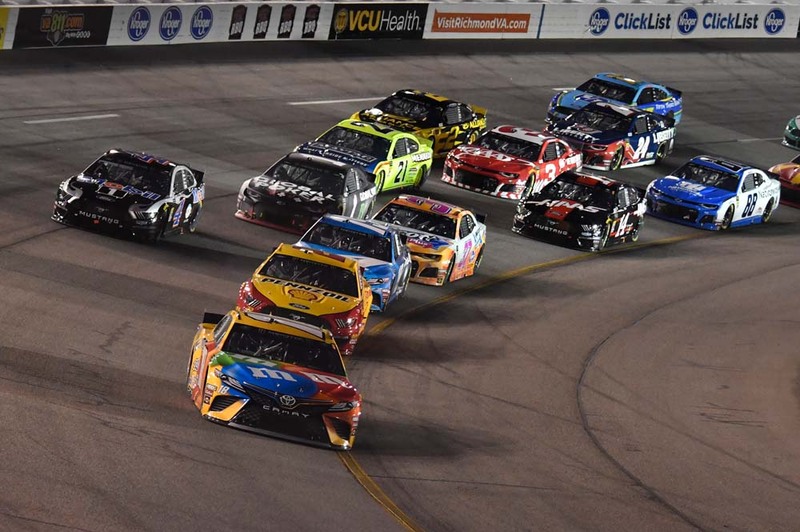 ● Busch recorded his ninth top-10 finish of the season and his 21st top-10 at Richmond (Va.) Raceway in 28 starts. ● The M&M’S driver continued his top-10 streak for the season. His top-10s for 2019’s first nine races is two behind Morgan Shepherd, who finished in the top-10 for the first 11 races of the 1990 season, which is the record for NASCAR’s modern era. 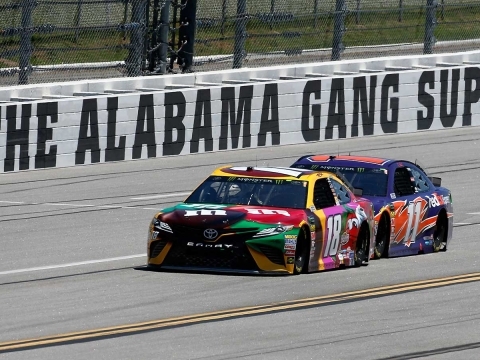 Next Up: The next event on the Monster Energy NASCAR Cup Series schedule is the GEICO 500 on Sunday, April 28 at Talladega (Ala.) Superspeedway. The race starts at 2 p.m. EDT with live coverage provided by FOX.